There’s nothing quite as delicious as home cooked crispy roast chicken. It’s the scent of Sunday’s for me as we all fight to grapple the last bit of crispy skin! 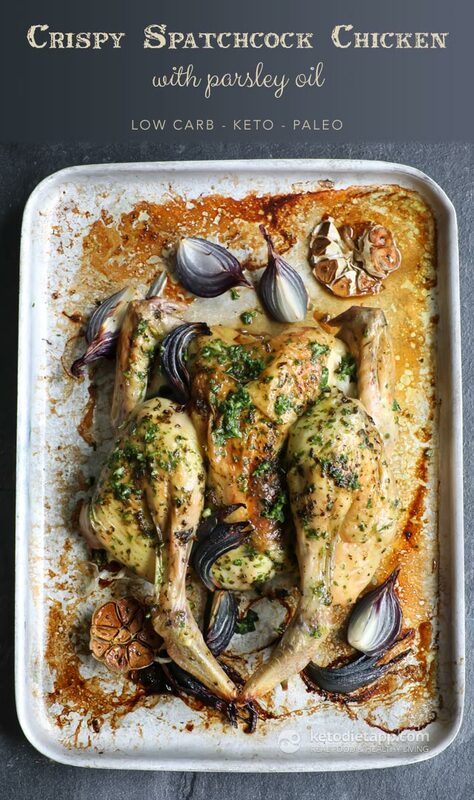 Have you tried it spatchcock before? It’s seriously good. Removing the spine (spatchcock) ensures that the meat is extra juicy and the skin oh so crispy. 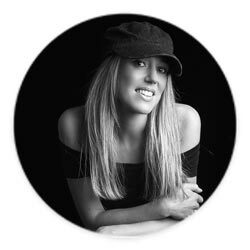 What’s more, today I’m sharing my top tip on how to make it the most succulent yet! 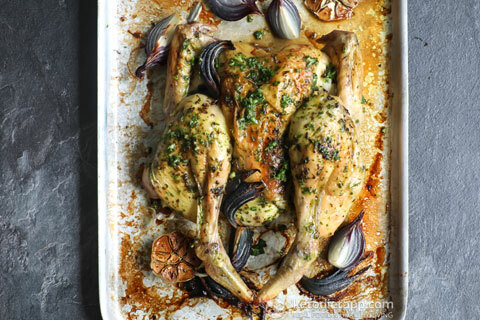 Roasted in a dressing of fresh parsley oil, it’s just bursting with flavour. With hands on time less than 20 minutes, it’s a classic you’ll come back to time and time again. Note: Aromatics (onion and garlic) that are used for enhancing the flavour of the juices are only partially included in the nutrition facts. Preheat the oven to 200 °C/ 400 °F. To make the parsley oil marinade, simply place all the ingredients in a high speed food processor and blitz until fine. Remove the giblets and string from the chicken. Splay open the chicken, breast side down with the drumsticks facing towards you. Remove the back bone. 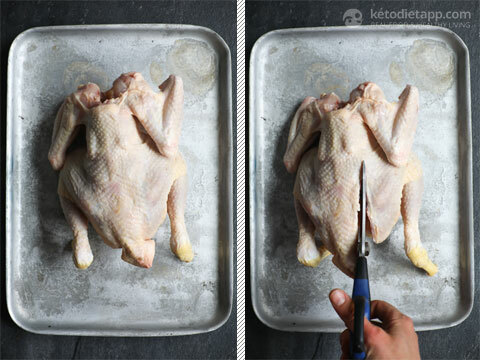 Run your finger down the spine of the chicken to identify the soft outside of the ribcage. Using strong scissors cut up one side of the spine. Repeat on the other side of the spine and remove the backbone (reserve the meaty back bone for making keto bone broth or chicken stock). 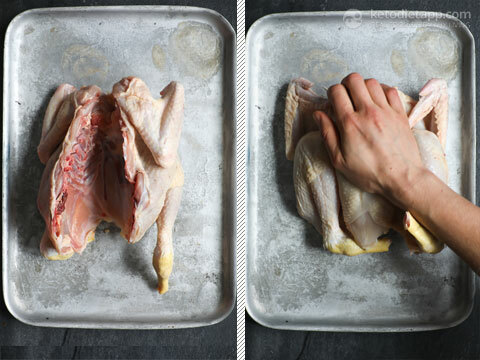 Flip the chicken over, splay the legs and using the palm of your hand press down firmly to flatten the chicken. 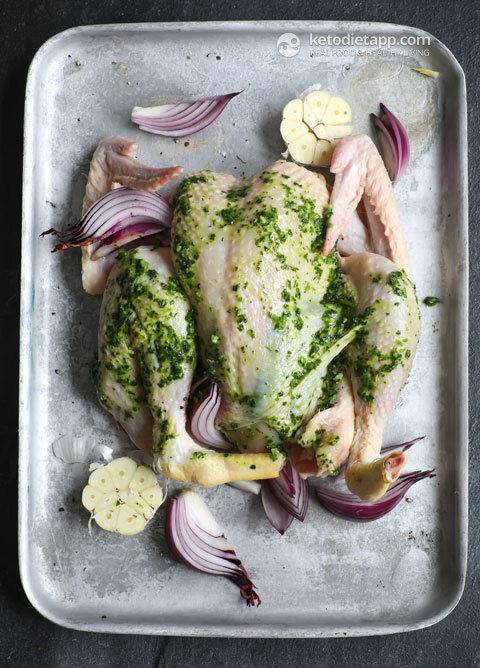 Place the chicken opened up on a baking tray and rub half of the parsley oil marinade over and under the skin. Peel the onions and slice into quarters. Slice the garlic in half horizontally and arrange both around the chicken. Fill the base with a little water. Push the tips of the wings behind the breastbone where the neck is. Make a hat for the chicken by twisting the corners of a grease proof sheet of paper (my top tip to help tenderise the meat to make it moist). Cover the top of the baking tray with tin foil so there are no gaps and roast in the oven for 40 minutes. 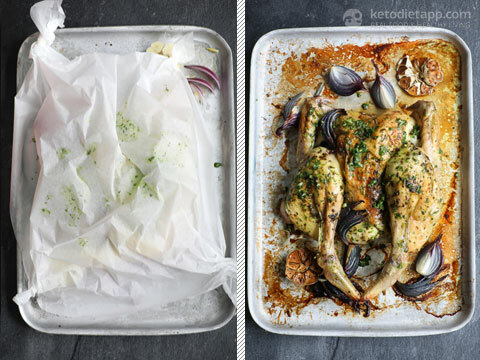 After the initial cooking time, remove the tin foil and greaseproof paper, drain the juices into a glass but save these as you’ll need them later. Place the chicken back in the oven for about 1 hr for the skin to crisp up. Add the juices back in after 30 minutes (of the extra 1 hr) and give the onions and garlic a stir. Cooking times vary based on the size of the chicken so please adjust accordingly. The bird is cooked when the juices of the meat run clear and there is no pink flesh. Once cooked, remove from the oven and allow to stand for 10 minutes before carving. Serve with the remainder of the parsley oil on top.